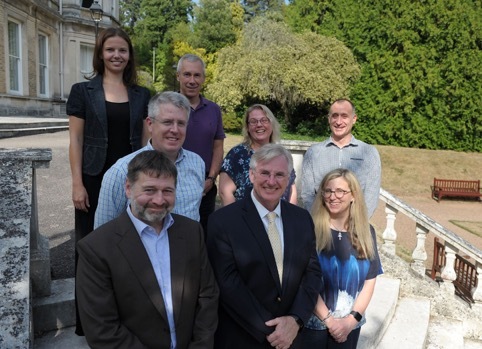 The Woomera Manual’s Editorial and Management Board members along with core experts and observers attended the first Woomera Manual working group meeting in Exeter, UK on 6 – 10 August, 2018. Representatives from the founding partner Universities (The University of Adelaide University, The University of Exeter, The University of Nebraska and UNSW- Canberra) attended the meeting along with scholars and representatives from Governments (participating in their personal capacity) and Non-Government Organizations (such as the Union of Concerned Scientists). In addition to these participants, observers from NATO and the International Committee of the Red Cross (ICRC) also attended this inaugural plenary meeting. Work on drafting rules related to articulating the legal framework for the conduct of military operations in space were undertaken throughout the week against a heavy schedule of discussion and engagement. Topics relating to the ‘Peaceful Uses of Outer Space ‘, the ‘Non-Appropriation’ Principle, the ‘Prohibition on the Use of Force’, ‘Constant Care’ and ‘Weapons of Mass Destruction in Outer Space’ were included in many of the rules that were covered in the week’s drafting work. The Project was honoured when the Vice-Chancellor of the University of Exeter, Professor Sir Steve Smith, addressed the participants during an evening event and emphasized the importance of the work that was being undertaken. The Woomera Manual is due for completion in 2020 and the next working group meeting is set for February 2019 in Lincoln, Nebraska USA where a new wave of draft rules and commentary will be discussed. The Woomera Project seeks to contribute towards the practical understanding of the international legal regime that applies to military operations in Outer Space to ensure that legal obligations and limits are identified and complied with by States and Non-State actors in the space realm. This entry was posted in Commerce, Innovation & Technology, International Affairs, Research and tagged Woomera Manual. Bookmark the permalink.